You have many adoption options, and this is the perfect place to begin exploring them. Below, you’ll find Illinois adoption laws and policies and find adoption agencies and attorneys who work with families in Illinois. Each state maintains its own adoption policies, so the process can vary considerably for families in different states. As an Illinois resident, you’ll want to work with an adoption agency or adoption attorney who is very familiar with Illinois adoption laws and policies. Below, you’ll find adoption agencies and adoption lawyers offering services to Illinois families. Scroll past the listings to learn all about the legal guidelines for families adopting in Illinois whether you’re adopting a newborn through domestic adoption, an infant or older child from U.S. foster care adoption, or a child through international adoption. WHO CAN ADOPT IN ILLINOIS? An adult who is 21 years or older with no legal disability may petition to adopt. The court may waive the age restriction for good cause. The adopting parent is required to have lived in Illinois for 6 months or more (or for 90 days if with the armed forces) if the child is not related to the adopting parent or if an agency was not involved in child placement. A married couple must petition jointly. Can out-of-state residents finalize an adoption? Yes, but only if the child is a relative of the adopting parents, as defined by Illinois law, or a child-placing agency licensed in Illinois placed the child. Can adopting parents use an adoption facilitator or another paid intermediary? Only an Illinois licensed agency or a contracted agent approved by the Dept. of Children and Family Services may be used. What birth parent expenses may be paid, and in what time period? Up to $1000 may be paid to cover necessary pregnancy-related expenses without pre-approval from the court. Anything over $1000 must be pre-approved by the court in all private adoptions and by an Illinois licensed agency in all agency adoptions. Expenses must be paid 120 days before due date and up to 60 days post-partum. Accounting must be submitted to court within 14 days of completion for private adoptions. Accounting must be submitted to agency before the adoption is finalized for agency adoptions. When can consent to adoption be granted? Birth mother: 72 hours after birth; birth fathers: before the child is born, but the consent can be revoked until 72 hours after the child is born. Once the child is born, birth fathers must wait a minimum of 72 hours. When does consent become irrevocable? If consent is revoked, is return to birth parent automatic? After signing for birth mother. If birth father signed consent before the child is born, consent can be revoked up to 72 hours after the child is born. Are post-adoption contact agreements legally enforceable? No. Is a foreign adoption decree automatically recognized by the state? If the child is adopted under due process of law, enters the U.S. with an IR-3 or HR-3 visa, and the adopting family undergoes a postplacement investigation, the state will recognize a foreign adoption decree. 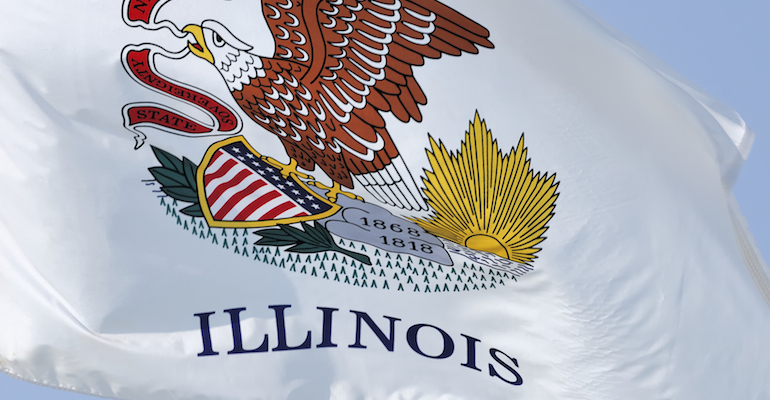 If the child entered the U.S. with another form of visa, the adopting parents are required to readopt in Illinois before the state recognizes the foreign adoption decree. Can parents readopt in this state? Is it mandatory? Yes, parents may readopt in Illinois. It is mandatory if the child entered the U.S. without an IR-3 or HR-3 visa. When will a U.S. birth certificate be issued? The State Registrar of Vital Records will issue a record of foreign birth for a child with an IR-3 or HR-3 visa adopted by a parent who resides in Illinois upon receipt of proof of the child’s DOB and place of birth, a certified copy of the adoption decree, a copy of the IR-3 or HR-3 visa, and the contact information of the adoption agency used to complete the adoption. *Note: Illinois is in the process of updating this statute, so please confirm the above statement with an Illinois licensed attorney. Are adoption subsidies available? When do they start and how long do they last? Yes, subsidies are available for a special needs child as defined by at least one of the following: 1 year or older, member of a sibling group being placed together if at least one sibling is special needs, has adopting parent/s who receive adoption subsidies for another child or have another adopted child from one of the same birthparents, has a permanent or treatable physical, mental or emotional disability. A reasonable attempt must have been made to place the child without subsidies. Adoption subsidies begin at adoption finalization.